Cloudy. Low 42F. Winds N at 10 to 15 mph..
Cloudy. Low 42F. Winds N at 10 to 15 mph. 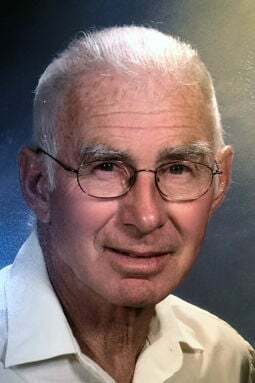 Michael D. Taylor, 74, was called to be with the Lord on Jan. 29, 2019, while in Aruba. He was born March 6, 1944, in Blair, Nebraska, to Clifford and Elnora (Lauritsen) Taylor, the oldest of three boys. He lived on a farm near Blair until the age of 2 at which time his family moved to a farm northeast of Fremont. He attended country school and graduated from Fremont High School in 1962. After graduation he attended Midland Lutheran College and served in the Army Reserves until 1970. He married Sharon McKinney on March 27, 1965, at First United Methodist Church in Fremont. After their marriage, they moved to a farm south of Nickerson where he farmed his whole life. To this union a son, Todd, and a daughter, Taron, were born. Mike had a full life. He was a dedicated family man that loved being around family and enjoyed attending his grandkids' activities. Mike was always willing to help anyone with anything and he never met a stranger. His love for farming was very apparent. He took pride in the way his fields were always weed-free and his road ditches were always mowed. He had a passion for bowling, golfing, Husker sports and traveling. He enjoyed traveling the world with his family and exploring new adventures. He was an active member of Fremont First United Methodist Church for 60 years and served on many committees. He served on District 65 school board, was a 4-H leader, and a member of the Fremont FOE. He is survived by his wife, Sharon; son, Todd (Linda) Taylor of Nickerson; daughter, Taron Taylor of Fremont; grandchildren, Matt Taylor, Nicholas Taylor, Nathan Taylor, Kaleb Jorgensen, and Kialynne Jorgensen; brothers, Gordon (Gail) Taylor of Fremont, Wayne (Shirin) Taylor of Omaha; brother-in-law, Don (Judy) McKinney of Louisville; sister-in-law, Judy (Jerry) Nielsen of Fremont; other family, friends, and his beloved dog, Buddy. Mike was preceded in death by his parents, grandparents, and parents-in-law. The funeral will be 9:30 a.m. Saturday at First United Methodist Church in Fremont. Burial will follow in Memorial Cemetery. Visitation will be Friday at the Ludvigsen Mortuary Chapel in Fremont from 3 p.m. to 8 p.m. with the family present from 4 p.m. to 7 p.m. Memorials to the family for future designation.